Dragging a sharp blade across your face can have consequences. 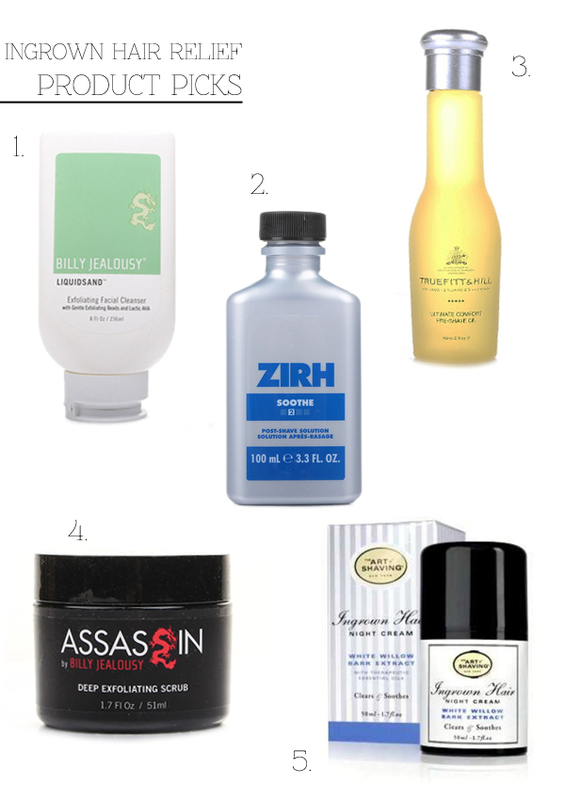 Ranking high amongst these is the ingrown hair, the annoying younger brother of the pimple. While giving up shaving is the best resolution, it’s not the most practical solution for most of us. So how do you keep your countenance looking good without sacrificing the razor? We’ve got your guide to keeping ingrown hairs at bay. When you shave, your hairs become very sharp and as the tips grow out, they can curl back into the skin, piercing it and causing inflammation, bumps, and soreness. Ingrown hairs tend to be more common for those with curly hair. What skincare routine, you ask? If you don’t have one yet, now’s the time to start, because when it comes to ingrown hairs, prevention is the best defense. Exfoliate daily with a gentle scrub (like Billy Jealousy Liquidsand Exfoliating Facial Cleanser) to remove dead skin cells that clog pores and hair follicles. And once a week, opt for a strong facial polisher to really get rid of the gunk (like Billy Jealousy Assassin Deep Exfoliating Scrub). If you have sensitive skin, start slow and increase the frequency with your tolerance. 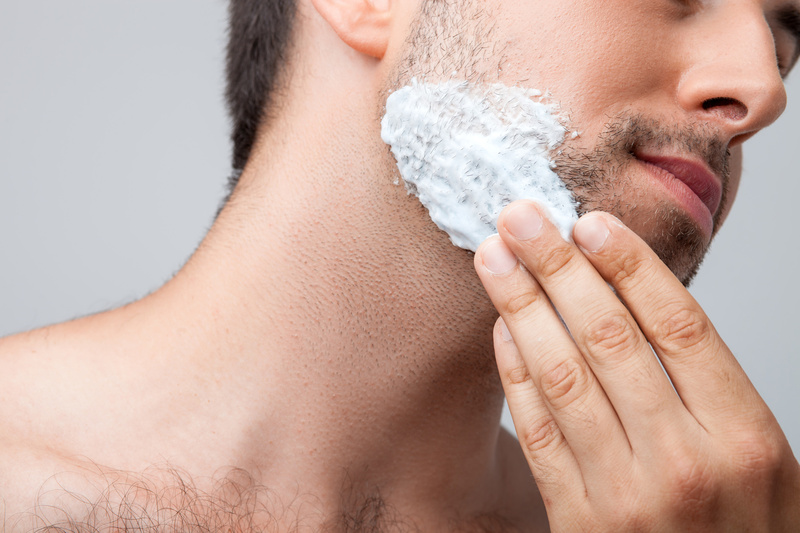 If your skin is particularly reactive, only exfoliate the night before shaving. Wrap a warm towel around your face and neck and wait for your hair to soften from the hot water. Alternatively, shave right after you shower so your hair is weak (that’s a good thing when you’re shaving) and your pores are open. The way you shave is a big part of the razor bump equation. Use a fresh, sharp blade, since dull blades can tug on your skin and cause more friction, leading to razor burn and ingrown hairs. Also, since fresh blades offer a crisp cut, there’s no need to do several passes over the same area, which can anger your skin. Shave in the direction your hair grows to reduce spikiness. Relieve freshly-shaven skin with a rich aftershave balm or serum. Zirh Soothe Post-Shave Solution contains aloe vera to moisturize irritated skin, and retinyl palmitate (a form of vitamin A) to speed up cell turnover and reduce healing time, thus preventing clogged pores and ingrown hairs. What if I already have an ingrown hair? First we suggest giving your skin a breather. Stop shaving for a few days and let your skin go through its regular repair processes. During this time, remember to moisturize and feel free to try a cream formulated expressly for ingrown hairs, like The Art of Shaving Ingrown Hair Night Cream, which exfoliates skin as you sleep. If you wear a tie or a high collar, loosen them both. Stiff collars and ties can rub against your neck, causing more irritation and slowing recovery. If after this waiting period the pesky ingrown is still there, you can take matters into your own hands. To remove your ingrown hair at home, warm up the area with a wet towel or steam your face over a bowl of hot water. Then use a pair of tweezers to lift the hair out of the skin. You can also consult a professional aesthetician, who has all the tools to quickly pull that thing out with minimal damage. SHOP: 1. Billy Jealousy Liquidsand Exfoliating Facial Cleanser, 2. Zirh Soothe Post-Shave Solution, 3. Truefitt and Hill Ultimate Comfort Pre-Shave Oil, 4. Billy Jealousy Assassin Deep Exfoliating Scrub, 5. The Art of Shaving Ingrown Hair Night Cream. « Our New Website is Live! + Reset Your Passwords!